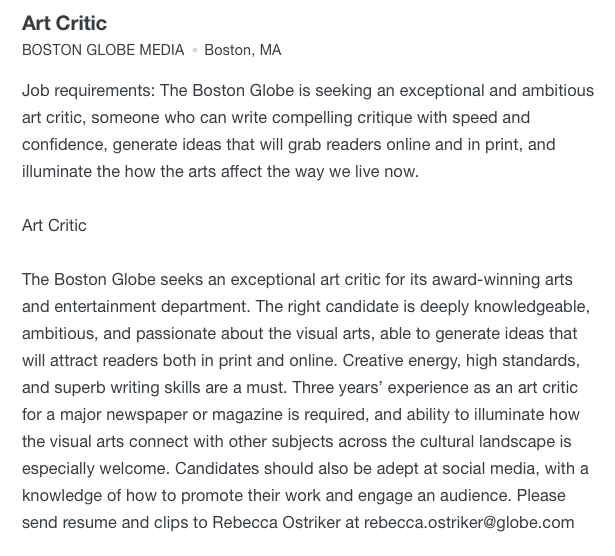 Why Hasn’t the Boston Globe Hired a New Art Critic? As the hardreading staff relentlessly chronicled, the Boston Globe’s Pulitzer-Prize winning art critic Sebastian Smee decamped to the Washington Post last fall, finally landing on the job in early January. Right before that, the Globe posted this ad on multiple media outlets, including ZipRecruiter. To be sure, three months isn’t an overlong time when you’re looking for a six-figure art maven, but the Globeniks might want to step on it a bit, given that the Boston Museum of Fine Arts awarded this scoop to the New York Times rather than the stately local broadsheet, as our kissin’ cousins at Campaign Outsider noted yesterday. The F.B.I. 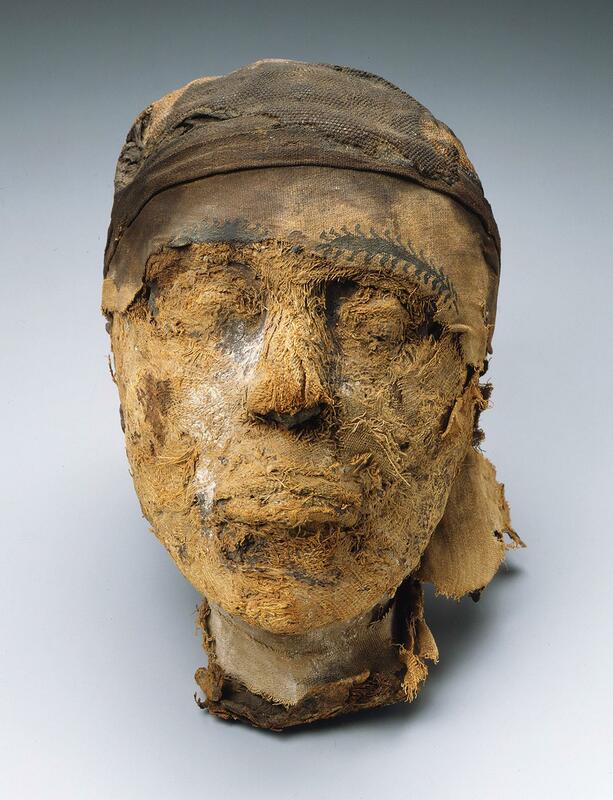 extracts DNA from a severed head to help a Boston museum identify a 4,000-year-old Egyptian mummy. In 1915, a team of American archaeologists excavating the ancient Egyptian necropolis of Deir el-Bersha blasted into a hidden tomb. Inside the cramped limestone chamber, they were greeted by a gruesome sight: a mummy’s severed head perched on a cedar coffin. The room, which the researchers labeled Tomb 10A, was the final resting place for a governor named Djehutynakht (pronounced “juh-HOO-tuh-knocked”) and his wife . . . The archaeologists went on to recover painted coffins and wooden figurines that survived the raid and sent them to the Museum of Fine Arts, Boston in 1921. Most of the collection stayed in storage until 2009 when the museum exhibited them. Though the torso remained in Egypt, the decapitated head became the star of the showcase. With its painted-on eyebrows, somber expression and wavy brown hair peeking through its tattered bandages, the mummy’s noggin brought viewers face-to-face with a mystery. Namely, his head or hers? What’s less of a mystery, of course, is why the MFA would have shipped the story out of town.